US attorney general Alberto Gonzales is at it again: this time he is targeting just about everyone using a computer and the Internet with the proposed Intellectual Property Protection Act of 2007 (IPPA). Both "attempted" copyright piracy and "actual" copyright violations would be punished. What exactly does "attempted" copyright infringement mean? It's not clear. Here's what the Justice Department summary says: "It is a general tenet of the criminal law that those who attempt to commit a crime but do not complete it are as morally culpable as those who succeed in doing so." So don't even think about downloading Spider-Man 3 from BitTorrent. You can get life in prison for using pirated software in a situation that could cause deaths. For instance, using pirated software in a hospital. 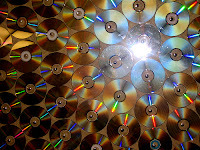 Another item would make Homeland Security responsible for reporting the importation of unauthorized CDs to the Recording Industry Association of America (RIAA). Declan McCullagh has more about the IPPA here.